Concentration on "skater's" variations done with matched feet and making smooth and subtle transitions from matched to mirrored feet and through different arm positions! Second and third classes will incorporate tango variations from the second class as well! Pay by the week or for a full month including the waltz party on the 26th. Variations from tango, including lunges, molinetes, ruedas, scissors, and ganchos. Pay by the week or for a full month including the waltz party on the 26th. 7:00-10:00pm. Waltz, waltz, and more waltz! Light refreshments. Wearing of the green! Happy new year! January is going to be a quiet month for me. I'm going to DJ blues in Russia for the first time at a swing dance camp, which I'm really looking forward to, and restart my regular waltz and historical dance classes and parties at some point (edited 1/27/19 to add) with a waltz evening at the end of the month before beginning regular classes in February. Most of my time after the holidays (through January 8th in Russia!) is going to be spent on some research projects and pulling together a bunch of material for my February weekend in Saratov. Five-day camp covering Lindy, Balboa, blues, and more. I will be DJing a blues set or two late (after 1:00am) the night of the 4th -- technically, in the very early hours of the 5th. 7:00-10:00pm. Waltz, waltz, and more waltz. Light refreshments. Coming in February: a weekend of nineteenth and early twentieth century dance in Saratov! A brief (10-minute) introductory lesson as part of a much larger multi-teacher event to be held in a Soviet-era bunker! Introduction to all basic figures of cross-step waltz. Pay by the week or for a full month including the waltz party on the 25th. More complex figures and techniques for cross-step waltz. Pay by the week or for a full month including the waltz party on the 25th. My ongoing autumn course on the more unusual dances of the 1910s, including improvisation in the maxixe and hesitation waltz, the social dances of Anna Pavlova, and perhaps a few small surprises! Pay by the week or by the month. Classes Saturday (2:00-9:00pm) and Sunday (10:00am-12:00pm) and a "Journey Around the World" party Sunday afternoon/evening (3:00-9:00pm) (VK party event - in Russian). Saturday classes will cover late nineteenth century French schottische and Pas de Quatre, several group dances of the era, and some American mixer dances from the 1940s. Sunday's classes will be primarily 1910s Half & Half and sequences (tango and hesitation waltz), possibly with some French group dances spilling over from Saturday. Party dress code: 1880s-1910s or modern formal or military uniform. It's that time of year again! America celebrates Thanksgiving, and this American living abroad, sans turkey and trimmings, celebrates by thanking two sets of organizers who have hired me regularly for events. As everyone who knows me understands, I love visiting new places and teaching new groups. But it's also a special delight to have places and events I return to regularly, making friends and developing communities and watching dancers progress over time. Second, my thanks to Oleksii Kryvenko and Svetlana Evsyukova, organizers of three Vintage Dance Exchanges and three Waltz Weekends in Kyiv, Ukraine, from the spring of 2016 to just a few weeks ago. My being able to visit and teach the same core group repeatedly half a dozen times over a few years has resulted in a small group of dancers with the skill set that makes me happiest, understanding both the common and the distinct elements of modern (cross-step) and historical (19th and early 20th century) dances and being able to combine them smoothly and switch easily between different styles and types of music. That's something I haven't had since the end of a seven-year stretch of regulars in my old Monday night classes. It makes me unbelievably happy as a teacher to see a group of dancers really work at these fundamental skills (not always the most fun process!) until practice pays off with this level of achievement. All credit to Oleksii and Svetlana as organizers and as teachers who review and reinforce what I teach when I visit. And extra thanks to Svetlana for her superb partnering as well! Having events with both sets of organizers in one month this year was magic. November will be rather hectic, with a journey to Kyiv, Ukraine, for our third Kyiv Waltz Weekend and a grueling weekend trip back to the USA for the Remembrance Day Balls in Gettysburg, Pennsylvania. See you on the dance floor! Continuing my autumn course of dances of late 19th century France. Pay by the week or by the month. NOTE: no class on the 15th as I will be in Gettysburg! First in my autumn course on the more unusual dances of the 1910s, including improvisation in the maxixe and hesitation waltz, the social dances of Anna Pavlova, and perhaps a few small surprises! Pay by the week or by the month. NOTE: no class on the 15th as I will be in Gettysburg! Weekend of waltz workshops and dances, primarily cross-step. Four hours of classes per day and a Sunday afterparty with DJ music - a combination of waltz and other social dances. Introduction to all basic figures of cross-step waltz. Pay by the week or for a full month including the waltz party on the 26th. More complex figures and techniques for cross-step waltz. Pay by the week or for a full month including the waltz party on the 26th. 5:30pm-midnight each day. TWO nights! TWO formal dinners! TWO balls! Both evenings are formal Civil War-era events with pre-1865 costume (civilian or military) required. Advance reservations (dinner and ball or ball-only) are needed, and this event generally sells out well in advance! Friday night's ball is Fancy Dress/Masquerade with a Scottish/Tartan theme, complete with a piper to lead the Grand March. Saturday will feature a patriotic theme. I will be calling both evenings this year, with live music both nights and different dance programs! Coming in December: a weekend of historical dance in Vladimir! Emerging from my summer hibernation -- how did I get my hibernation season so out of whack? -- I'll be on the road this month for blues in Boston (sadly, this trip has been canceled) and a somewhat random bunch of workshops in San Jose, California, where a non-dance-related trip has turned into something of a busman's holiday! I will be conducting workshops on Victorian couple dancing (with a Steampunk focus), historical dances done in trios, and cross-step waltz (beginner level); leading a morning "dancercize" session; DJing a waltz session; and doing a mini-class on hand jive. I'll also be partnering for a basic swing dance workshop. My full schedule is here. Note: these workshops are restricted to day or weekend members of the convention. Please see the Worldcon76 website for information about membership. 7:30-11:00pm (lesson then dancing). DJing blues for the second set, 9:45-11:00pm. 7:30-11:00pm (lessons until 9:30 then dancing). I'll be DJing blues from 9:30-10:30. I am available for private lessons in Connecticut or on my various travels; during the latter, you must provide the dance space. Email me directly if you would like to schedule a private lesson. July is going to be another quiet month for me, holed up at home doing a bunch of unrelated work, writing, research, etc. I'll make a brief research trip to Boston and do some DJing on the side, and I may be out and about later in the month. I'm thrilled to start out June with another trip to Kyiv before heading back to the USA at last! I am not planning any further public classes in June, just research, writing, and non-dance projects. And maybe a little vacation! Four waltz classes each day, evening party Saturday (I will be DJing), and afterparty Sunday (details in Ukrainian here). A light month for me, with the first half of it taken out by Russian holidays and some private travel. I'll only have a short cross-step course and a final party before I head back to the USA for the summer! 19:00-21:00. Intermediate cross-step waltz; previous experience required. Mini-course registration packaged with the party on May 29th! 19:00-22:00. The end of my teaching year in Moscow! Come celebrate with an evening of waltz (cross-step and otherwise!) Included with May mini-course. I am available for private lessons in Moscow, or on my various travels; during the latter, you must provide the dance space. Email me directly if you would like to schedule a private lesson. April is going to be a little bit insane for me with preparing new dances and classes for the Kyiv (Ukraine) dance festival and ongoing non-dance-related volunteer work. I'll be continuing with a waltz class and hoping to get out to some of the post-Easter Moscow balls! 19:00-21:00. Intermediate cross-step waltz; previous experience required. Four-day dance festival with two balls, three dance parties, and thirty-eight classes! I will be teaching nine classes on dances and movement from the Regency era to the 1940s, plus a dance reconstruction class! Festival starts Wednesday night, but I will only be there for four days. I'm planning another quiet month in March, as I have some substantial non-dance-related obligations for the last half of the month. I'll be continuing my public and private waltz classes, but otherwise will be fairly invisible! Any groups or individuals in Moscow or elsewhere in Russia or Europe that might be interested in workshops from now through May should contact me directly. American gigs can resume in June! 19:00-20:30. Intermediate cross-step waltz; previous experience required. Coming in April: Vintage Dance Exchange 2018 in Kyiv, Ukraine! February will be a writing month for me, staying close to home-2 (Moscow) and trying to catch up on an enormous pile of unfinished work. I'll be continuing my public and private waltz classes and conducting another small waltz party, and might add a couple of other one-shot classes, but overall I am planning a quiet month! Any groups or individuals in Moscow or elsewhere in Russia or Europe that might be interested in workshops from now through May should contact me directly. No American gigs through the end of May unless accompanied by plane tickets! 19:00-20:30. Intermediate cross-step waltz; previous experience required. Note: must pre-register to get a pass for site security! 16:00-19:00. 16:00-18:00 Informal afternoon dance, primarily cross-step waltz with some faster waltzes. Light refreshments, recorded music. Must pre-register for site security if you do not already have a pass from my classes! I'll be starting off 2018 with a quick trip to London, where I'll attempt to hit several libraries and pick up a couple of sources relevant to some small projects I've been working on. I will not have time to teach on this trip. Afterward, it's back to Moscow and my waltz classes and a couple of Russian balls to attend as I attempt to keep warm through the worst of the Russian winter! Other than the London trip, I am not planning to travel out of Moscow for the remainder of January, but I will continue teaching regular waltz classes on Tuesday evenings. For the latest information on those, join my VK community (Russian). Any groups in Moscow or elsewhere in Russia or Europe that might be interested in workshops from February through May should contact me directly. 17:00-19:00. Informal afternoon dance, primarily cross-step waltz with some faster waltzes. Light refreshments, recorded music. Must pre-register for site security if you do not already have a pass from my classes! Living this binational life keeps me insanely busy, but I'm thrilled to be teaching a higher-level waltz series this month in Moscow, plus private classes and a return to beautiful Vladimir for a weekend of master-classes there! I do not have much more availability for December, so the classes below are probably all I'll do this month. Any groups in Moscow or elsewhere in Russia or Europe that might be interested in workshops in 2018 should contact me directly. I'm also interested in exploring the Moscow blues community and maybe seeing about some DJing while I'm here. Classes in early nineteenth century dance (unusual country dance and quadrille figures), late sixteenth century dance (Negri's La Catena d'Amore), and early twentieth century dance (American contra dance and couple dancing 1910s-1920s). I'm fully settled in Moscow now, and my November teaching schedule here is a pleasant mix of modern waltz and early twentieth century dance, continuing my work with Studio "Танец весны" and teaching advanced waltz classes on my own. I'll also be making a lightning trip back to the USA on Remembrance Day weekend to return to my long-running engagement leading 1860s dancing at The President's Remembrance Day Ball in Gettysburg! I do not have much availability for the rest of 2017, but groups in Moscow or elsewhere in Russia or Europe that might be interested in workshops should contact me directly. For Studio "Танец весны". Last two classes in a six-week course covering basic cross-step waltz (1990s-present) and early ragtime dances (1890s-1910s): two-step, five-step (schottische), and 1910s-style New England contra dance. Details (Russian) at the VK community! American square dance class for Studio "Танец весны". 20:00-21:00. One-hour workshop during part of ongoing nineteenth-century dance series of Studio "Танец весны". 19:00-22:00. Dance event for Studio "Танец весны". I will be calling a couple of contra dances but mostly just dancing! 5:30pm-midnight. Formal Civil War-era dinner and ball with live music by The Fleeting Moments Waltz and Quickstep Orchestra! Pre-1865 costume (civilian or military) is required. This year's event is the "Prince of Wales" ball, with ladies requested to wear light-colored gowns and tiaras, and/or trim their gowns with crystal and white flowers, and gentlemen requested to wear white boutonnieres! Reservations required (dinner and ball or ball-only). There is a Friday night fancy dress (masquerade) ball as well, precepted by Steve Buckmiller -- see the event website or the Destination Gettysburg event page for more information! This event generally sells out; purchase tickets in advance! For Studio "Танец весны". First two classes in a new six-week course covering basic cross-step waltz (1990s-present), 1910s tango, and 1910s-style New England contra dance. More details TBA. Course cancelled. 17:00-19:00. Workshop in combining and shifting between cross-step waltz and valse à trois temps (rotary waltz). Basic knowledge of both waltzes required. Coming up in December: Moscow classes continue, with added waltz classes, and a weekend of dance in Vladimir! As of October I am back in teaching mode in Moscow! This will be a light month as I get myself settled, but I will be teaching a six-week class series on a variety of twentieth century American dances and am actively working on setting up a few more things -- check back for possible additions later in the month. (10/29/17: schedule is now complete.) Moscow groups interested in workshops should contact me directly. For Studio "Танец весны". First four lessons in a six-week course covering basic cross-step waltz (1990s-present) and early ragtime dances (1890s-1910s): two-step, five-step (schottische), and 1910s-style New England contra dance. Some previous couple dance experience required. Sample at the first class or take the whole course. Details (Russian) at the VK community! 15:00-17:00. Workshop in combining and shifting between cross-step waltz and valse à trois temps (rotary waltz). Basic knowledge of both waltzes required. Children`s Festival Competition "Planet of Arts"
Jury member plus a master-class. Details TBA. Coming up in November: Moscow classes continue, and I return to the USA briefly for a ball and a workshop in Pennsylvania! This month is mostly about writing and non-dance-related travel, but I will emerge briefly to teach a couple of classes in Moscow (Russia) and a Regency dance class in Connecticut. Otherwise, see you in September! 4:00-6:00pm. Workshop on the early foxtrot of the 1910s for dance studio Touch the Sky. Taught in a mix of Russian and English. Open to the public and beginner-friendly. 6:30-8:30pm. Workshop on early twentieth century ballroom fun! 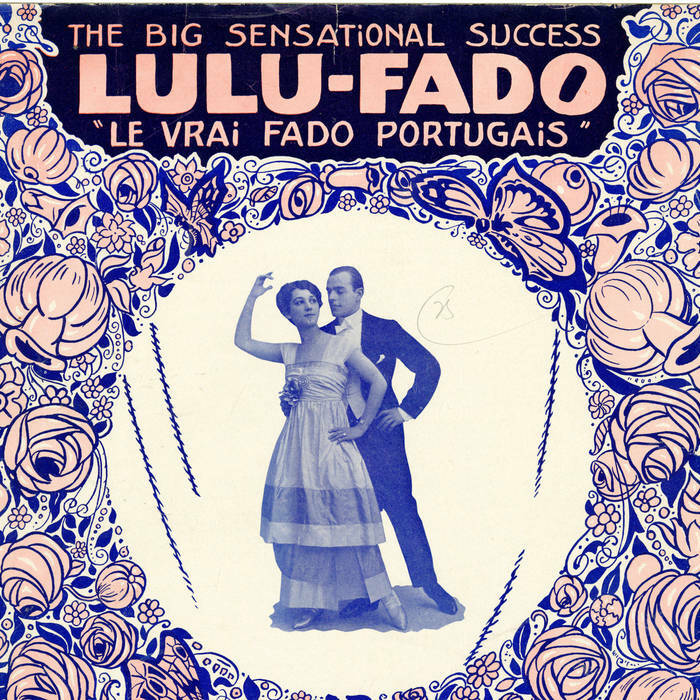 Includes American contra dances (1910s style), a one-step contra dance, the Lulu Fado mixer, and more! For dance studio Touch the Sky. Taught in a mix of Russian, English, and French (dance figures). Open to the public and beginner-friendly. 7:00-8:30pm. Beginner-friendly lesson Informal dancing, no costume needed. Still in catchup/hibernation mode this month, but I will emerge briefly for a long-awaited return to DJing at Bluesy Tuesy, my blues and fusion dance home, and a Regency dance class. Otherwise, find me online or not at all! Beginner-friendly lesson 7:00-8:30pm. Informal dancing, no costume needed. Back in the U.S.A. at last! I'm going to be keeping a very light teaching schedule with minimal travel this summer while I try to catch up on research and writing and various things I've neglected while living in Russia, but I'll be emerging from my warm-weather hibernation for a few little events here and there. Friendly, low-key steampunk weekend with two workshops in Victorian dancing at the Blackthorne Resort! Continuing my wonderful Russian residency, this month I'll be continuing my regular Moscow classes in cross-step waltz and American ragtime dance as well as making trips to Saint Petersburg and Vladimir to teach ragtime dance in those cities as well! I'll also have a couple of one-shot classes for Moscow studios in ragtime dance and American Civil War-era contradance. For Russian-language information and questions about my classes in Russia this spring, please see my VK community. Four workshops covering hesitation waltz, half & half, advanced one-step, and some miscellaneous ragtime material: the Lulu Fado mixer, short sequences, and an early 1910s American country dance. Open to the public. 8:00-9:30pm. Fourth class in the ten-class course; course subscription or special permission required. Taught in a mix of English and Russian. For general discussion (in Russian) about my classes in Moscow, see my VK community. 8:00-9:30pm. 1910s dance class, third in a ten-class course covering one-step, two-step, foxtrot, hesitation waltz, half & half, 1910s American contra dance, and more! Taught in a mix of English and Russian. Course subscription or special permission required. For general discussion (in Russian) about my classes in Moscow, see my VK community. Workshop on 1910s one-step, two-step, and foxtrot, plus 1930s American sequence dances. Open to the public. 8:00-9:30pm. Fifth class in the ten-class course; course subscription or special permission required. Taught in a mix of English and Russian. For general discussion (in Russian) about my classes in Moscow, see my VK community. 8:00-9:30pm. 1910s dance class, fourth in a ten-class course covering one-step, two-step, foxtrot, hesitation waltz, half & half, 1910s American contra dance, and more! Taught in a mix of English and Russian. Course subscription or special permission required. For general discussion (in Russian) about my classes in Moscow, see my VK community. 8:00-9:30pm. Sixth class in the ten-class course; course subscription or special permission required. Taught in a mix of English and Russian. For general discussion (in Russian) about my classes in Moscow, see my VK community. 8:00-9:30pm. 1910s dance class, fifth in a ten-class course covering one-step, two-step, foxtrot, hesitation waltz, half & half, 1910s American contra dance, and more! Taught in a mix of English and Russian. Course subscription or special permission required. For general discussion (in Russian) about my classes in Moscow, see my VK community. 8:00-10:00pm. Workshop on typical and unusual American contradances from the middle of the nineteenth century for dance studio Touch the Sky. Taught in a mix of Russian, English, and French (dance figures). Open to the public; very beginner-friendly! 8:00-9:30pm. Seventh class in the ten-class course; course subscription or special permission required. Taught in a mix of English and Russian. For general discussion (in Russian) about my classes in Moscow, see my VK community. 8:00-9:30pm. 1910s dance class, sixth in a ten-class course covering one-step, two-step, foxtrot, hesitation waltz, half & half, 1910s American contra dance, and more! Taught in a mix of English and Russian. Course subscription or special permission required. For general discussion (in Russian) about my classes in Moscow, see my VK community. I am available for private lessons in Moscow and nearby cities; outside Moscow, the student must provide the dance space. Email me directly if you would like to schedule a private lesson. Private lessons in the USA are available from early June. Coming in May: regular ragtime and cross-step waltz classes continue in Moscow, plus a waltz party and ragtime ball! After a quiet three months of teaching hiatus, I am back on the road this month...but all roads this spring will be Russian ones! I'll be living in Moscow for the next few months and doing a few weekend events in Russia and Ukraine as well as experimenting with regular weekly classes. If those listed below go well, then classes will continue once or twice a week through the end of May! Updated: both cross-step waltz and ragtime classes will continue as subscription courses through the end of May! PLUS: a nineteenth-century schottische and country dance class added in late March! For Russian-language information and questions about my classes in Russia this spring, please see my VK community. 8:00-9:30pm. Open 1910s dance classes taught in a mix of English and Russian! Some previous couple dance experience is recommended but no specific ragtime experience is required. The first class will focus on the one-step/two-step/foxtrot trio, and the second class on hesitation waltz and, possibly, half and half. 500 rubles per person per class. If interest is sufficient, these are the first two classes in a regular Thursday-night series. For general discussion (in Russian) about my classes in Moscow, see my VK community. 8:00-9:30pm. Open cross-step waltz class taught in a mix of English and Russian! Some previous couple dance experience is recommended, but no specific cross-step experience is required. If interest is sufficient, this will be the first in a regular Tuesday-night series! 500 rubles per person. For general discussion (in Russian) about my classes in Moscow, see my VK community. 8:00-9:30pm. Open cross-step waltz class, first in a ten-class course! Taught in a mix of English and Russian. Some previous couple dance experience is recommended, but no specific cross-step experience is required. 500 rubles for single class or 4500 for full course. For general discussion (in Russian) about my classes in Moscow, see my VK community. Six dance classes covering material from the sixteenth, nineteenth, and early twentieth centuries, plus a teacher training class. The exchange has many other teachers and classes plus two balls and three dance parties! 8:00-9:30pm. Second class in the ten-class course; course subscription or special permission required. Taught in a mix of English and Russian. For general discussion (in Russian) about my classes in Moscow, see my VK community. 8:00-9:30pm. 1910s dance class, first in a ten-class course covering one-step, two-step, foxtrot, hesitation waltz, half & half, 1910s American contra dance, and more! Taught in a mix of English and Russian. Some previous couple dance experience is recommended. 500 rubles for single class or 4500 for full course. For general discussion (in Russian) about my classes in Moscow, see my VK community. Workshop on early schottische technique, a late nineteenth-century French schottische quadrille, and English and American country dances from the second half of the nineteenth century. Open to the public. 8:00-9:30pm. Third class in the ten-class course; course subscription or special permission required. Taught in a mix of English and Russian. For general discussion (in Russian) about my classes in Moscow, see my VK community. 8:00-9:30pm. 1910s dance class, second in a ten-class course covering one-step, two-step, foxtrot, hesitation waltz, half & half, 1910s American contra dance, and more! Taught in a mix of English and Russian. Course subscription or special permission required. For general discussion (in Russian) about my classes in Moscow, see my VK community. I am available for private lessons in Moscow and nearby cities; outside Moscow, the student must provide the dance space. Email me directly if you would like to schedule a private lesson. Coming in April: regular ragtime and cross-step waltz classes continue in Moscow, plus more ragtime dance in Vladimir and Saint Petersburg! It's that time of year again...the start of the (American) winter holiday season, and the culturally-ordained time to give thanks! This year a big thank-you goes to my wonderful Patrons, whose financial support of this blog through Patreon keeps me researching and writing as well as providing a level of emotional support that's really helpful for a freelancer during those times when I'm curled up alone trying to work and wondering if anyone actually values what I write or appreciates the enormous effort that it takes to blog for nearly nine years and well over a quarter-million words. Your support says that you do, and that's valuable far beyond the money involved. Thank you all from the bottom of my heart for your continued support. I also want to add a special thank-you to my friend and sometime dance partner Irene, whose reaction to even my craziest ideas has consistently been unwavering emotional support paired with solid advice and practical assistance that has been absolutely critical to so much of what I've done this year and for the last dozen years or so. Help me work out tricky dance techniques? Drape a skirt ruffle? Translate some nineteenth-century German? Take in my cats for a month while I roam around teaching dance? Keep an eye on my entire life while I'm overseas? Fly to Ukraine to partner me at a waltz weekend? I continue to be on teaching hiatus, so the three events below (two in Saint Petersburg, Russia, in November and one in Kiev, Ukraine, in December) are the ONLY events I will teach at for the remainder of 2016. Note that I will not be at Gettysburg this year! Classes in country-western dancing (couple and line dancing) and American contra dance. Cowboy party! Традиционные танцы Техаса - country western dance, а также знаменитые на весь мир line-dance, и на закуску - американские контрдансы. Ковбойская вечеринка! 5:30pm-midnight. Formal Civil War-era dinner and ball with live music by the Dodworth Saxhorn Band. 1860s costume (civilian or military) required. This year's event is a "Crystal Ball", so white, silver, or pastel dresses and sparkles are encouraged! Reservations required (dinner and ball or ball-only). This event generally sells out. There is a Friday night ball as well, precepted by Karen Duffy -- see the event website for more information! One-step variations and improvisation techniques in maxixe, hesitation waltz, and half & half! Интересные связки для уан-степа, даст фигуры макшиша, хезитейшен-вальса и вальса «халф энд халф». Cross-step and rotary waltz classes and two waltz parties! Первый в Украине двухдневный вальсовый уикенд! За два выходных вас ждет 9 часов мастер-классов и две вечеринки. Сьюзан расскажет вам много интересного про современные социальные вальсы, про некоторые необычные фигуры вальса, про то, как переходить с одной техники на другую, не останавливаясь на месте и не ломая рисунок танца, и еще много интересного! I am not currently available for private lessons. Teaching mostly-hiatus continues, but expect more blog posts and a couple of special projects finishing up this month! 7:00-9:00pm. Beginner-friendly social dancing. Historical costume encouraged! See the Gig Calendar for further-out events and workshops! I am mostly on hiatus from teaching this summer, but will have a couple of workshops at the end of August. Stay cool! 7:00-8:30pm. Beginner-friendly workshop, no costume required. 3:00-5:00pm. Some couple dance experience required. 2:00-4:00pm. Beginner-friendly workshop, no costume required. 2:00-4:00pm. Some couple dance experience required. June starts out crazy for me with a trip to Washington and New York and a weekend in the Catskills, then everything calms down as I wind up my spring waltz class serieses and head toward a summer hiatus that I'm taking to give myself time to work on some special projects. Saturday, June 4th ~ Washington, D.C.
2:00-5:00pm. Lecture for JASNA-DC on early-nineteenth century ballroom practices, followed by social dancing. 3:00-5:00pm. Beginner-friendly workshop, no costume required. Beginner-friendly introductory waltz lesson 7:00-8:00pm. Take one or the whole series! Beginner-friendly introductory waltz lesson 8:00-9:00pm. Take one or the whole series! Friendly, low-key steampunk weekend with dancing at the Blackthorne Resort! Dance workshop 5:00-6:00pm Saturday, then leading some dancing during the dinner and Grand Ball 6:00-8:30pm. Beginner-friendly introductory waltz lesson 8:00-9:00pm. Beginner-friendly introductory waltz lesson 7:00-8:00pm. Beginner-friendly lesson 8:00-9:30pm. No costume needed. Bashes and balls! I'll be doing three public social events this month: the Mystery and Benevolence Bash at the American Folk Arts Museum in New York City; the Burning of the Ships Commemoration Ball in Essex, Connecticut; and a weekend of two balls and a workshop at a science fiction convention in Baltimore, Maryland. In between, the usual classes and a quick trip to Boston for research and Renaissance dance! 7:00-10:00pm. Benefit for the American Folk Art Museum event. Informal nineteenth-century dancing, costumes welcome. Refreshments, parlor games, silhouettes, live music. Museum exhibit on freemasonry and other fraternal orders. Advance tickets: $25, available here. Beginner-friendly introductory waltz lesson 7:00-8:00pm. Review for the May 14th ball! Beginner-friendly lesson 8:00-9:30pm. No costume needed. Review for the May 14th ball! Formal ball with live music, hosted by the Sailing Masters of 1812 in conjunction with the parade and commemoration of the Burning of the Ships in Essex. Beginner-friendly social dancing with live music by Renaissonics. 7:30-10:00pm. No experience needed! 3:00-6:00pm. Early nineteenth-century social dancing from a variety of countries in a historical mansion. Recorded music. Costumes strongly encouraged! Limited to thirty people. Beginner-friendly social dancing at a literary science fiction convention! The Steampunk Victorian Ball will be a mashup of nineteenth-century-inspired dances and modern music. The Regency Ball will go beyond the English country dance to include unusual dances from all across Europe. Balticonga! takes conga beyond the party line dance and back to its roots as a 1930s ballroom dance. How to Waltz (etc.) will take the base of modern ballroom waltz and show how to translate the basic step into different time signatures. All are beginner-friendly, no partner needed. Creative costume encouraged for the two balls! This is mostly a stay-home-and write month for me, with my only significant travel being to the New England Folk Festival (NEFFA) mid-month! It's been a few years since I could last make it to NEFFA due to calendar conflicts, so I'm excited to be back and looking forward to a great weekend of dance and music! Beginner-friendly dance evening 7:00-9:00pm. Historical costume encouraged! Coming in May: the 1814 Commemoration Ball! Greetings from Kyiv, Ukraine! I'm here preparing to teach a whole slew of classes in dance from the early nineteenth century through the early twentieth, with a side-helping of Steampunk! After Kyiv, I'll be back in Russia briefly for a quick trip to teach in Voronezh before heading home to a more relaxing second half of the month of my regular waltz and Regency classes, including a special one-shot class on easy 1910s waltz choreographies and the beginning of four-week a series on nineteenth-century waltz. I'll be DJing during the band breaks! Classes in nineteenth and early twentieth century dance. 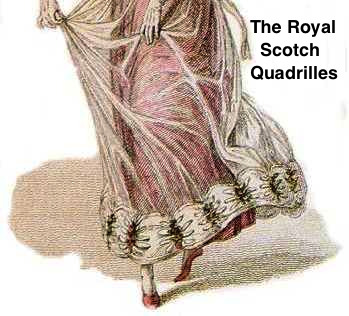 Classes in Regency-era and early twentieth century dance. Beginner-friendly lesson 8:00-9:00pm. No costume needed. Coming in April: at last, I return to NEFFA! Back on the road again for real this month: after the usual round of weekly waltz and monthly Regency workshops and a historical/modern mashup dance in New York City, I will once again be heading off to Europe for the first two stops of a four-city tour that will take me to three cities in Russia and one in Ukraine! Catch me for dance workshops or private lessons on one continent or the other! 3:00-6:00pm. Historical dancing, modern music, and the run of the mansion! Creative costuming appreciated! Limited to 40 -- advance registration strongly encouraged! Streaming live on YouTube at 17:00 Moscow Time / 09:00 Eastern Standard Time. Regency-era and mid-19th century dance workshops. Weekend intensive - teachers and experienced dancers only. Nineteenth and early twentieth century dance. Coming in March: historical and waltz workshops here and there (New York City; Connecticut; and Voronezh, Russia) plus the first ever Vintage Dance Exchange in Kyiv, Ukraine! I'm still wrapping up holiday writing and other projects, so other than a couple of research trips, I'm not on the road much this month. Most of the calendar involves waltz, waltz, and more waltz, lightly interspersed with Regency classes and blues DJing, with my sole annual Revolutionary War ball as the grand finale! 7:30-11:00pm (lesson then dancing). DJing blues from 9:45-11:00. 7:30-11:00pm (lessons until 9:30 then dancing). DJing blues from 9:30-10:30. Formal dinner and Revolutionary War Ball with live music by The Reel Thing. Rev War to Regency costume strongly encouraged. Coming in February: more dancing at the Morris-Jumel Mansion and off to Russia yet again! I'm going to spend a big chunk of early December on the road in Ohio and Illinois doing some teaching and research and conducting a Caledonian Regency ball with a mix of French, Scottish, and English dances of the era for the English country dance community in Chicago. Somehow I have managed to schedule four major Regency workshops or events in four different cities within an eleven-day period. Exciting! After that, I'll be quietly at home for my holiday recess/research/writing time through the New Year. That'll be good, too. Lively dance/exercise -- take conga beyond the line dance to moves for solos, couples, and groups! 6:00-7:00pm. Last in a four-class series. Drop-ins welcome! Beginner-oriented lesson 7:00-8:00pm. Last in a six-class series. Drop-ins welcome! Beginner-friendly lesson 8:00-9:00pm. Last in a four-class series. Drop-ins acceptable, but previous experience or preceding Social Waltz 101: Country Waltz class helpful. Evening ball with live music. Costumes encouraged! Musicians include the 2014 U.S. Scottish Fiddle Champion Tim MacDonald! 2:00-5:00pm. Costumes encouraged! Dancing, refreshments, and enjoying the mansion. Recorded music. Limited to 40 -- advance registration strongly encouraged! Beginner-friendly dance evening 7:00-9:00pm. Celebrate Jane Austen's birthday with the dancing of the early 19th century! Historical costume encouraged. The big event for me in November is the Remembrance Day Ball in Gettysburg, which will be followed in quick succession by a Thanksgiving-weekend trip to Baltimore. Other than that, I have my usual run of waltz and Regency workshops in Middletown and New York and, at last...conga!!! Lively dance/exercise -- take conga beyond the line dance to moves for solos, couples, and groups! 6:00-7:00pm. First in a four-class series. Drop-ins welcome! Beginner-oriented lesson 7:00-8:00pm. Third in a six-class series. Drop-ins welcome! Beginner-oriented lesson 8:00-9:00pm. Second in a four-class series. Drop-ins acceptable, but previous experience or preceding Social Waltz 101: Country Waltz class helpful. Online presentation (voice and slides only) for Научный семинар "История танца" (Scientific Seminar "History of Dance"). Second speaker. Presentation in Russian, discussion afterward in English. Lively dance/exercise -- take conga beyond the line dance to moves for solos, couples, and groups! 6:00-7:00pm. Second in a four-class series. Drop-ins welcome! Beginner-oriented lesson 7:00-8:00pm. Fourth in a six-class series. Drop-ins welcome! Beginner-friendly lesson 8:00-9:00pm. Third in a four-class series. Drop-ins acceptable, but previous experience or preceding Social Waltz 101: Country Waltz class helpful. Lively dance/exercise -- take conga beyond the line dance to moves for solos, couples, and groups! 6:00-7:00pm. Third in a four-class series. Drop-ins welcome! Beginner-oriented lesson 7:00-8:00pm. Fifth in a six-class series. Drop-ins welcome! Formal Civil War-era ball with live music by the Dodworth Saxhorn Band. Dinner included. 1860s costume (civilian or military) required. Reservations needed -- often sells out early! I am doing Saturday night only this year, but you can also join my colleague Karen Duffy and the Dodworth Saxhorn Band for Friday night's dinner and ball! This is a science fiction convention, with writer, artist, and musical guests including Seanan McGuire, Ursula Vernon, Heather Dale, Tamora Pierce, and Tom Smith. I will be teaching a basic country waltz workshop and leading some informal dancing at a costumed Time Travelers' Social on Friday evening plus doing two hours of Renaissance dancing on Saturday afternoon. You must be a day or weekend member of the convention to attend! Beginner-friendly lesson 3:00-5:00pm. No costume needed. Coming in December: Regency workshops and dances in four cities in ten days! I'm home in early October and then back on the road with a vengeance -- three cities in seven days to lecture, teach, research, and DJ! After that, I'm staying home in Connecticut preparing for our thirteenth annual Regency Assembly, this year with a Parisian theme, and setting up a new set of beginner-level waltz classes in Middletown, Connecticut. Beginner-friendly dance 7:15-9:15pm with live music! Beginner-friendly lesson 3:00-5:00pm. No costume needed. Review class for ball on October 24th! Beginner-oriented lesson 7:00-8:00pm. First in a six-class series. Drop-ins welcome! Beginner-friendly lesson 8:00-9:30pm. No costume needed. Review class for ball on October 24th! Formal ball with live music by The Flying Romanos and dances in the French style. Period costume strongly encouraged. Lively dance/exercise -- take conga beyond the line dance to moves for solos, couples, and groups! 6:00-7:00pm. First in a five-class series. Drop-ins welcome! Beginner-oriented lesson 7:00-8:00pm. Second in a six-class series. Drop-ins welcome! Beginner-friendly lesson 8:00-9:00pm. First in a four-class series. Drop-ins acceptable, but previous experience or preceding Social Waltz 101: Country Waltz class helpful. Coming in November: the Remembrance Day Ball in Gettysburg! Waterloo is over! Peace is restored! And Paris is dancing! On Saturday, October 24th, 2015, in New Haven, Connecticut we will have a night of Regency-era revelry in the style of post-Napoleonic France! This will be our thirteenth annual Regency Assembly in New Haven. Kickery author and dance historian Susan de Guardiola will be calling the dances to the wonderful dance music of The Flying Romanos. 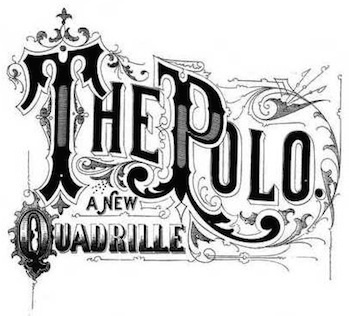 The program will include quadrille, waltz, and a selection of unusual French dances including Le Grand-Père, Le Rond de Rocha, La Bagdad, La Mont-Ferine, and La Boulangère. There will also be popular Scottish imports such as Le Moniemusk and Le Contrebanquine! An afternoon workshop (free with ball registration) will review the dances for the evening. Regency costume or modern formalwear is strongly encouraged. Light refreshments will be served. Registration is limited to 60 people. No partner is required. $30 per person in advance ($20 for ages 13-21; under 13 free with parent). More at the door! Please see the Bal à Paris website for more details and to register, and join our event page on Facebook for updates! Well, my attempt to stay at home in August and work on projects turned into spending more than half the month on the road to various libraries, events, and family members. That was fun, and I made some intriguing discoveries and moved various research projects along, but it was not what I really needed to be doing. I am spending September at home getting things done. Not even a library trip. I may add one or two little local(ish) classes to this very short list, but the plan is to stay home this month and then go back on the road in October. Coming in October: back on the road again with a quick trips to Pittsburgh, New York, and Boston followed by this year's Regency Assembly, Un Bal à Paris (A Ball in Paris)! After an exhausting July, August will be a quiet month for me with a bunch of little trips (research and otherwise) scattered through it and catch-up work on several much-delayed projects. Beginner-friendly dancing 8:00-9:30pm. No costume needed. Events and workshops further in the future may be found on the Gig Calendar! July is mostly taken up by a lengthy trip to Russia (yes, again!) to teach in Perm and Novosibirsk, traveling internally via trans-Siberian railroad! After some jet lag recovery time, I'll wind down the month with a trip to the Beau Monde writers' conference in New York City and my usual open Regency workshops. 3:00-5:00pm. Beginner-friendly lesson. No costume needed. 8:00-9:30pm. Beginner-friendly dancing. No costume needed. Coming in August: quiet time at home for research and writing. See the Gig Calendar for further-out events and workshops! June is hopefully going to be a quiet month. I'm doing my regular monthly workshops and a bit of blues DJing, plus a lovely Steampunk weekend at a Catskills resort, but mostly I am staying home to take care of various non-dance matters, try to catch up on my writing, and prepare for yet another lengthy trip to Russia. Sometime this month there is likely to be a crowdfunding campaign, too! Want to help? Steampunk-Victorian Ball Saturday night; available for private lessons all weekend! 8:00-9:30pm Beginner-friendly dancing. No costume needed. 3:00-5:00pm Beginner-friendly lesson. No costume needed. Coming in July: back to Russia (yes, again) for workshops in Perm and a festival in Novosibirsk, plus brief social stops in Moscow and St. Petersburg. See the Gig Calendar for further-out events and workshops! Lots of fun ahead in May! I'll spend the early part of the month in Moscow teaching an experimental new class in 16th century improvisation at the Anno Domini festival before heading back home for a Regency ball and then to Boston to spin some blues and back to New York City for some ragtime! 8:00-11:00pm. Formal early 19th-century ball; costume strongly encouraged. Tickets on sale now! 7:00-8:00pm. Cross-step waltz class four of five. 3:30-5:00pm. Beginner-friendly class - specific details TBA. 7:00-8:00pm. Cross-step waltz class five of five. Online presentation on Victorian dance teacher Mrs. Nicholas Henderson for monthly Russian seminar. Coming in June: Steampunk in the Catskills and then some much-needed research and writing time before heading back to Russia at the end of the month. See the Gig Calendar for further-out events and workshops! Crazy, crazy, crazy April! I'll be spending some time in Chicago again plus a couple of weekends in New York/New Jersey. In between I have Research Hibernation Time and an open series of cross-step waltz classes before leaving on the 29th for another trip to Russia! Catch me if you can! 1:00-1:50 beginner / 2:00-2:50 intermediate. 7:00-10:00pm Victorian Ball with live music by the Cosmic Otters. Mix of couple dances and country dances from the late nineteenth century. Victorian costume encouraged! 3:30-5:00pm. Beginner-friendly class on waltz and gavotte sequences from 1914-1915. Cross-step waltz class one of five ~ 7:00-8:00pm. Cross-step waltz class two of five ~ 7:00-8:00pm. Beginner-friendly dancing 7:30-9:00pm. No costume needed. Small, beginner-friendly ball; recorded music. Cross-step waltz class three of five ~ 7:00-8:00pm. Coming in May: back to Russia again for the Anno Domini festival then home for the annual 1814 ball in Essex, Connecticut! See the Gig Calendar for further-out events and workshops! TL;DR version: Regency, Russia, Russia, Russia, Russia, Russia, Regency, Regency, Regency, Waltz. I'll be adding more links and details over the next few days, but here's the general plan for March, featuring my exciting Russian whistle-stop tour! Beginner-friendly social dancing 2:30-5:30pm. Early 19th century costume encouraged! Cross-step basics review session 7:00-8:00pm. Coming in April: a weekend of dance workshops in Chicago, a too-brief period of research-oriented hibernation, a weekend of nineteenth century in New Jersey and New York, then back to Russia again for the Anno Domini festival! See the Gig Calendar for links! Things start getting busy in mid-February before building up to my absolutely crazy March! I've now added to Kickery the oft-requested calendar of my workshops and events past the current month; check the Gig Calendar for upcoming events from March onward! Friday 8:30-9:30pm Friday Night Disco Fever! Coming in March: Russia Whistle-Stop Tour! St. Petersburg - Moscow - Kazan - Voronezh. Вконтакте: классы, конференция / классы в СПб, классы в Воронеже. Having basically failed to stay home quietly and write in December, I'm going to try again in late January, with two weeks of a mostly-clear schedule at the end of the month. Other than that, I'm slowly picking up my travel schedule again with the usual New York and Boston routine before it starts getting really crazy in February and March! An open cross-step waltz class and possibly another couple of minor workshops will be added to this schedule; details TBA. Not until February! Revolutionary War reenactor dinner & ball. Flexible costuming late 18th-early 19th century. Coming in February: the Dance Flurry Festival!